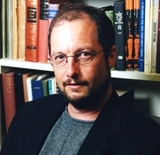 The second interview in the series is with Dr. Bart Ehrman. Dr. Ehrman teaches religion at the University of North Carolina at Chapel Hill. He has written over 25 books on early Christianity. His latest is called Did Jesus Exist? The Case for the Historical Jesus. Here is my review. He is responding to the “mythicist” movement that says Jesus is a fictional character from beginning to end. Erhman says that Jesus did exist, even though he is not the Jesus we learned in Sunday School. He thinks Jesus was an apocalyptic prophet who predicted God’s dramatic intervention that never came. His interview will be broadcast beginning May 24th. After broadcast, podcasts will be available here. Thursday, May 24th at 8 pm on WETS, 89.5. Sunday, May 27th, at noon on WEHC, 90.7. Sunday, May 27th, at 2 pm on WETS, 89.5. Monday, May 28th at 1 pm on WEHC, 90.7. Via podcast beginning May 29th.